Configure specific emails to skip triage? The basics include creating a folder/label and then creating a rule to skip your inbox and send directly to that folder. The example we'll use is having emails from your family members skip triage. Go to Settings > Labels > Create New Label > "Family". Let us a know via the Help & Feedback tab the name of the label. Emails with that label will no longer be pulled into Karbon. Next, create a rule to move any email you don't want pulled into Triage. 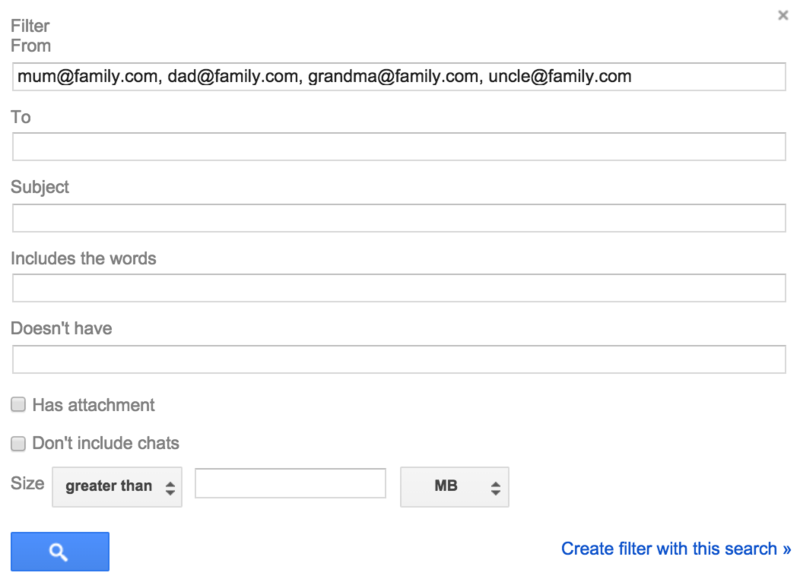 Add the appropriate filters (in this example, specific email addresses) and then click on "Create filter with this search". 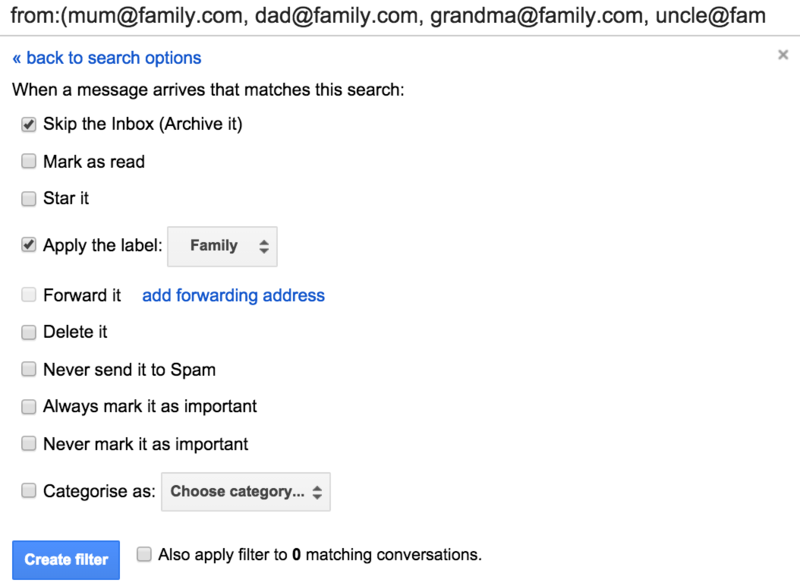 Then tick the boxes that will make the email skip your inbox and label them family. To add a folder to your Outlook (for example, "Family"), right-click the parent folder you want to create the new folder in. If you want a top-level folder (a folder at the same level as your Inbox), you would use your mailbox as the parent folder (recommended). Next, create an inbox rule to move any email you don't want pulled into Triage. Choose the app launcher > Mail. Then, at the top of the page select Settings > Options > Organize email > Inbox rules. When the message arrives and: here add the email addresses (or any other criteria) you'd like the emails that will skip triage to have. Do the following: Use this box to select the action you want taken when a message arrives that meets the criteria you selected. In this case, skip inbox and move email to "Family". Let us know once the folder and rule have been created, and advise us on the name of the folder the emails are going to. We'll ensure emails in that folder skip triage.